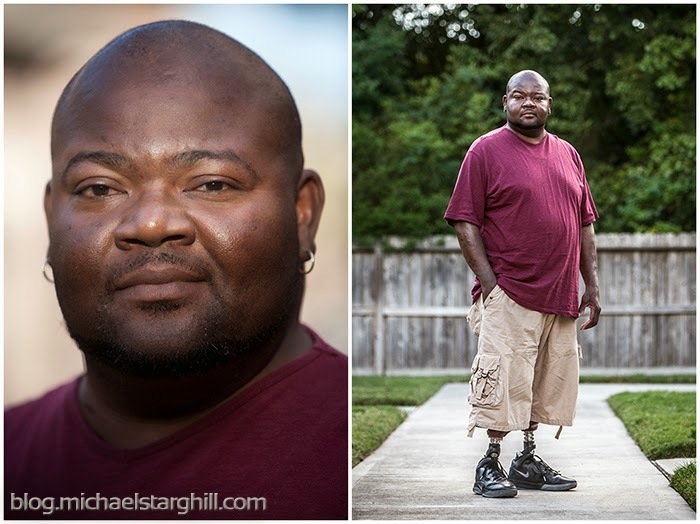 About a month ago, I photographed Lejuan Holmes for the Houston Chronicle. Holmes is a double amputee from complications of having Type 1 diabetes. He is also a candidate for a kidney transplant. When it was discovered that he would need a kidney transplant, the doctors said he would need to lose weight before he was eligible to get on the list. Holmes thought he would have a hard time dropping the weight he needed to even get on the list so his doctor suggested that he undergo gastric bypass surgery. So far, so good and Holmes is getting closer to the weight he needs to be to qualify for the transplant list. Check out the story from Alyson Ward, HERE.